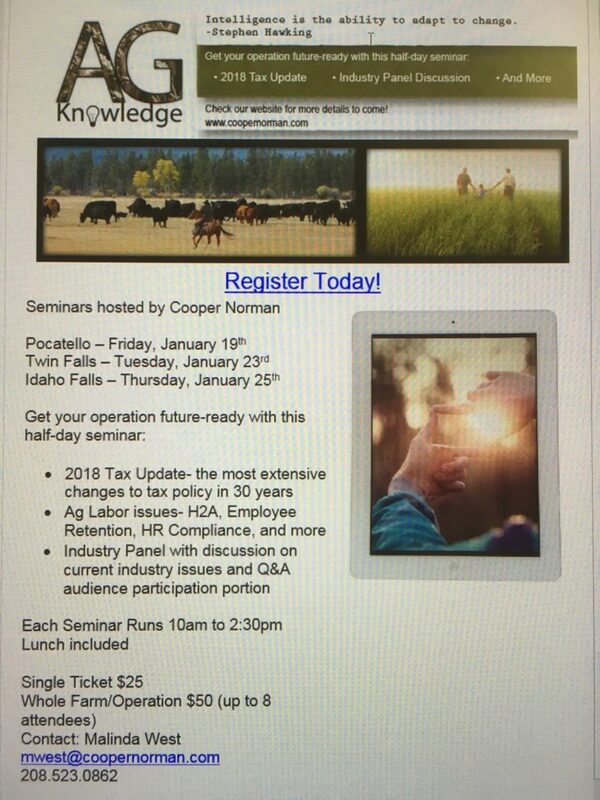 We are having our AG seminar this year on Friday Jan 19th. 10:00-2:30 ISU college of business Cooper Norman room. Tickets are $25/person or $50/farm. It’s a 2018 tax update and Ag issues discussion. Please contact Brody Fitch ( (208) 251-5147 ) if you’d like a ticket to attend. Please contact Brody Fitch ( (208) 251-5147 ) if you’d like a ticket to attend.